Ashbee Design: My Stone Lamp was Featured on Completely Coastal! 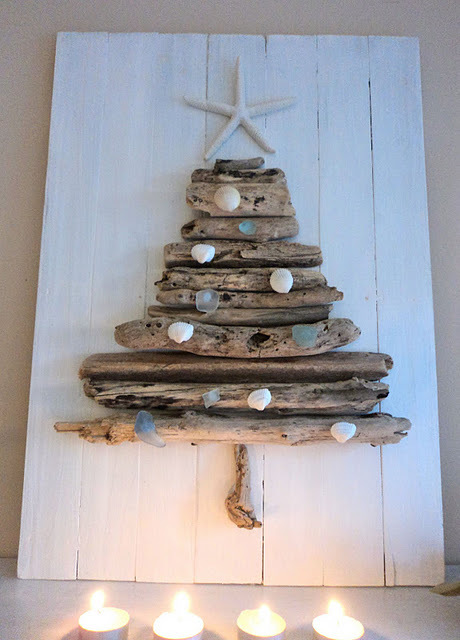 The tutorial for my sea stone lamp was featured last week on the blog Completely Coastal. It is part of a blog post by Maya on a Coastal Mix of craft things to make. She linked to a variety of other handcrafted items with a beach theme. 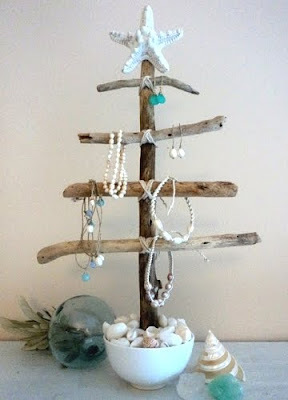 I went exploring around the site and found this driftwood tree shown as a jewelry tree. I see it as a beautiful idea for a Christmas Tree! Both are a beautiful blend of nature with decor. 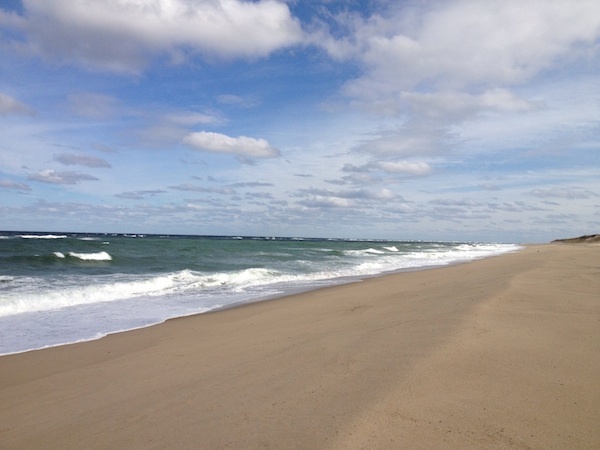 These are especially noteworthy because David and I returned just hours ago from a trip to that ever funky coastal mecca of Provincetown, MA. We went out there for some electricity, Internet and running water as we are still dealing with no power here at home. While there we took a long, blustery, walk along an absolutely deserted section of the National Seashore at Race Point and David helped me collect driftwood. 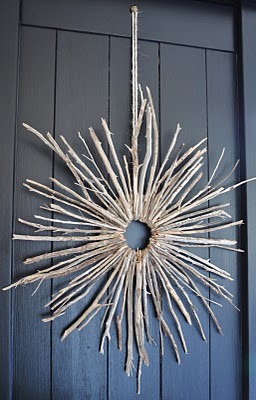 I thought I was gathering it for a driftwood wreath as shared on The Painted House. Now I am not so sure. I wonder if I have enough for two projects? Just for laughs here are two photos from the beach. 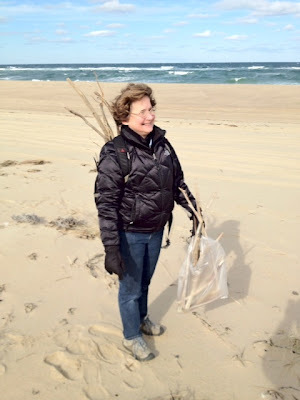 This is me with driftwood sticking out of my daypack. Always prepared, I had a stash of plastic bags as well. Pickings were slim. It was that cold. I was in my winter coat with gloves and the wind just cut right through me. Today I have a rosy wind burn on my cheeks. And here is view of the beach with the surf crashing in. It was absolutely deserted.